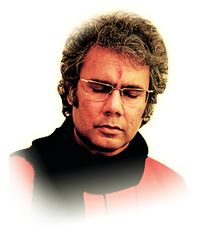 An internationally acclaimed exponent of the Mewati Gharana of Hindustani Classical Music and a torch-bearing disciple of Sangeet Martand Pandit Jasraj Ji, Pandit Suman Ghosh’s mellifluous voice, combined with his soul-stirring artistry and technical perfection, elevates music to divinity, leaving worldwide audiences spellbound. 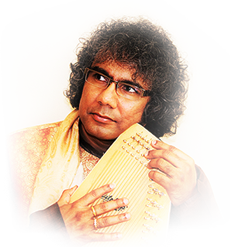 Referring to him as a “virtuoso performer” in a review of his concert in 2014, and describing his concert in 2015 in the headline “A Night of Musical Bliss”, The Times of India, also writes…Pandit Suman Ghosh “has been able to cultivate a diction, a voice, a technique and a language cut to the size of the Mewati Gharana’s reigning Guru” (the legendary Sangeet Martand Pandit Jasraj Ji). 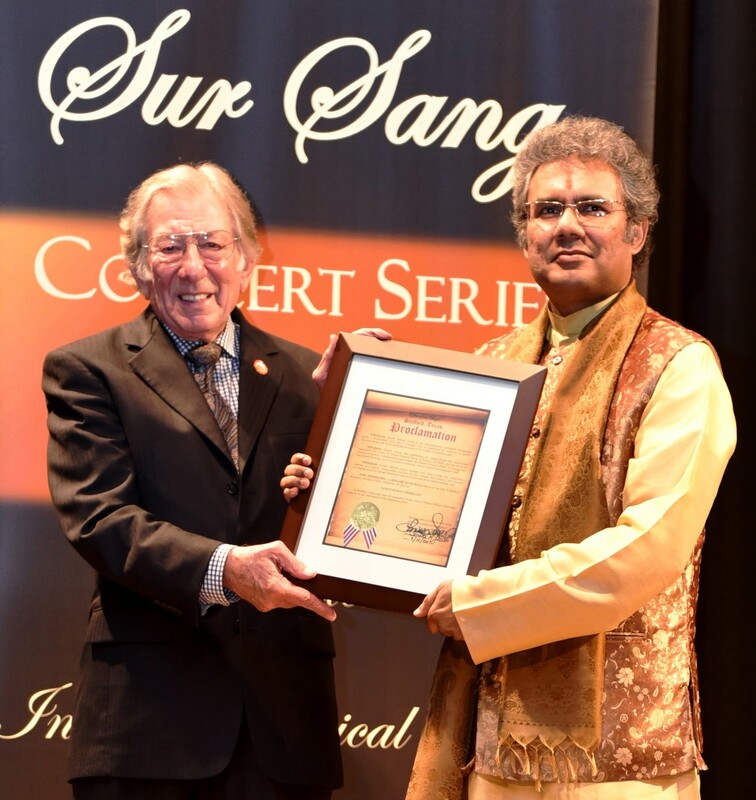 It is not hard to see why the City of Sugar Land and various Indian and Indo-American organizations have honored Pandit Suman Ghosh for his unique and unmatched contributions towards the enrichment of Hindustani Classical Music. He was the only music scholar from India to have been invited to present his research on Hindustani Classical Music at the international conference held in Vienna, Austria to celebrate a 100 years of Sound Archiving. 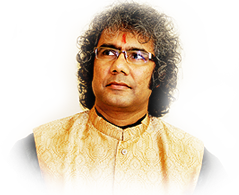 The Mayor of Houston, 4th largest city in USA, has honored him by declaring September 3rd as ‘Pandit Suman Ghosh Day’. He has received similar honors from the neighboring cities of Sugar Land and Stafford, Texas USA, as well. Various Indian and Indo-American organizations have also awarded him for his pathfinding initiatives. 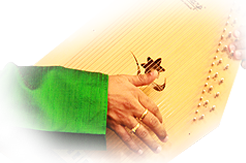 He was honored by the NABC 2015 (35th North American Bengali Conference) with a LIFETIME ACHIEVEMENT AWARD in July 2015, for his contributions in the field of Indian Classical Music thus far. 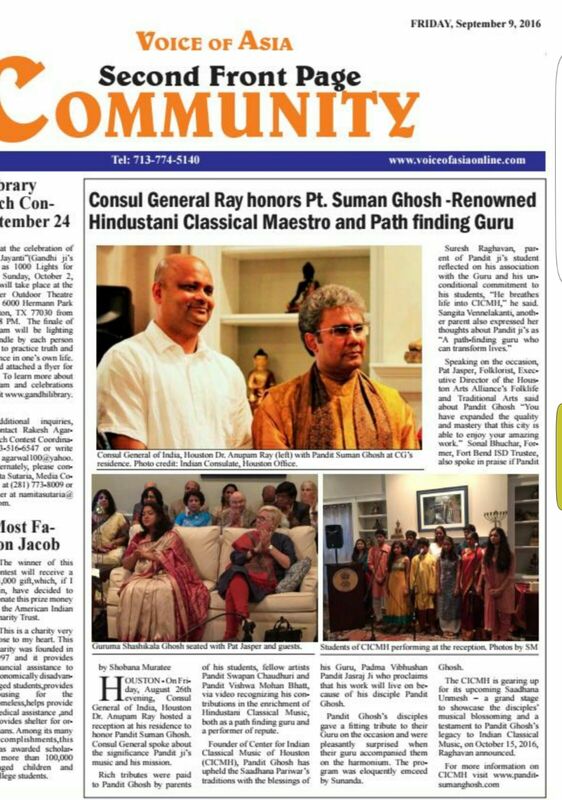 In August 2016, Pandit Suman Ghosh was honored by the Consul General of India in Houston, as a true ambassador of Indian culture and traditions in the western hemisphere. Such is the impressive list of his accomplishments in this field that the United States Government granted him a permanent resident status in just 2 days! Pandit Ghosh’s own creations, ranging from his aesthetically and technically brilliant bandishes and taranas to soulful bhajans and shlokas enthrall his audiences, connoisseurs and fellow musicians alike. His music direction, composition and singing for the Hollywood Film “Dancing in Twilight” received the Gold Medal for Excellence in a Feature Film at the 2005 Park City Film Music Festival. While commenting on Pandit Ghosh’s creative genius, Sangeet Martand Pandit Jasraj ji unequivocally expressed that this worthy disciple has assured his Guru’s place in the highest abode of the Supreme by walking a few steps ahead of his own Guru, the Living Legend himself (click here for video). Pandit Ghosh considers this the most invaluable blessing and the highest compliment ever bestowed by a Guru. It is always interesting to trace the musical lineage of a versatile musician. 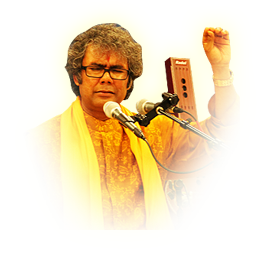 Pandit Suman Ghosh began his musical journey at a tender age, under the loving yet firm and detail-oriented guidance of his mother, Smt. Monika Ghosh Ji. His parents provided him with a musically enriching childhood, which involved not only listening to, but also having the privilege of being in close proximity with many legendary performers and musical and spiritual thinkers, developing a deep and enduring love and respect for music. Pandit Ghosh’s formal training continued under the maestro Pandit Shrikant Bakre Ji, celebrity torch-bearer of the great Ustad Amir Khan Saheb. Thereafter, he was fortunate to be further groomed for many years by the legendary Guru, Padma Bhushan Pandit Jnan Prakash Ghosh Ji, before coming under the auspices of none other than the living legend of Indian music, Padma Vibhushan Sangeet Martand Pandit Jasraj Ji. It was the Sangeet Martand who transformed him into a full-fledged performing musician through intense hands-on training, both on and off the stage. Dr. A P J Abdul Kalam, former President and the legendary son of India, requested to hear Pandit Ghosh’s renderings at a felicitation of Dr. Kalam hosted by the honorable Consul General of India in Houston. 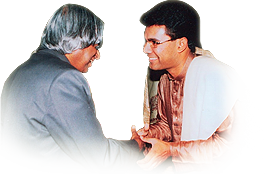 Pandit Ghosh has also had the privilege of performing at the Presidential abode Rashtrapati Bhavan during Dr. Kalam’s tenure as the President of India. Apart from winning critical acclaim for his brilliant solo Hindustani Vocal performances, Pandit Ghosh proves his versatility as a performer in a variety of other formats like Devotional / Haveli Sangeet Concerts, Jasrangi Jugalbandis, Jugalbandis with Carnatic musicians, leading ensembles of musicians from various countries, to name a few. Indo-American News writes…“His name is synonymous with Hindustani music….not only as a vocalist of note, but also as a considerably gifted Guru of the complex Hindustani Classical music system..”. 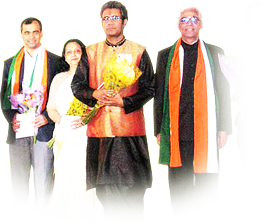 India Herald reports…“Pandit Ghosh has stirred an awakening among classical music lovers…”.